Italy is not a country where keeping your New Year's resolutions is going to be easy. Though the Mediterranean diet is said to be one of the healthiest in the world, it is also laden with carbohydrates, complimented by wine, and so delicious that it's often a challenge to stick to reasonable portion sizes. In addition, it doesn't help that shortly after taking down the holiday decorations and hunkering down to lose your Christmas 5 (or, ahem, 10), Carnevale begins. This historic, month-long festival counting down the weeks before Easter is celebrated with elaborate costumes, boisterous parades and parties, and overindulgence in all things fried and sugared. If you are visiting Italy during Carnevale, be sure to sample some of the delectable and excessive treats that are only found at this time of year! This is the most common Carnevale treat, found from north to south during the month before Easter. The name means “chit-chat” or “gossip”, and reflects the empty yet utterly satisfying delight of these thinly rolled sheets of sweet dough that are then deep-fried until crisp and golden, and served dusted with sugar. Chiacchiere are known by other, equally evocative names in different parts of Italy that are inspired by their irregular shape: in Tuscany, you can find them called cenci, or rags, while in other regions they go by nastrini (ribbons), frappe (fringe), or lattughe (lettuce). They are deceivingly light and often you find you have eaten many more than you intended, an inspiration for their Ligurian name, bugie, or lies. 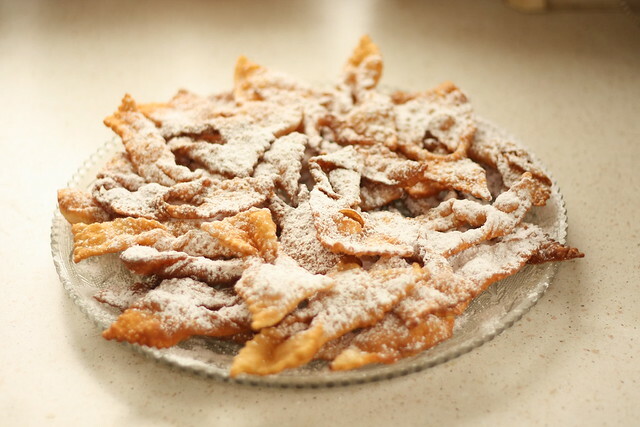 According to legend, this Carnevale treat dates back to ancient Rome, inspired by the similar frictilia, strips of sweet pastry deep-fried in pork fat served to celebrate the end of winter. Venice is Italy's capital of Carnevale, and their traditional fried cakes are one of the festival's most iconic sweets. 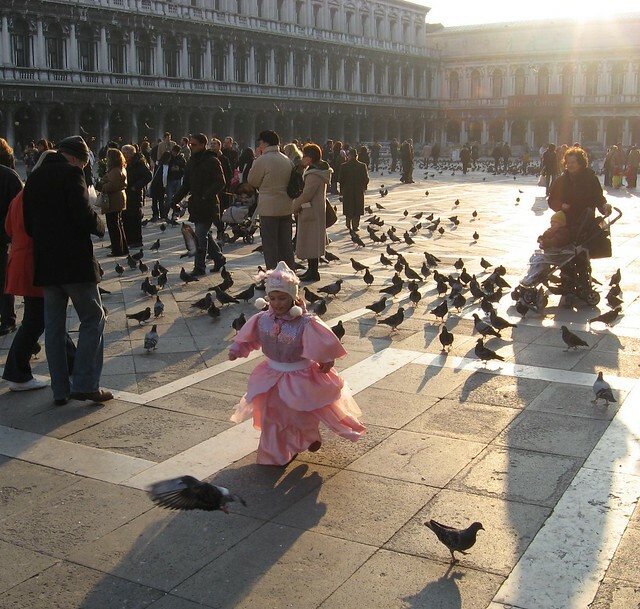 Reminiscent of cake donuts in flavor and texture, frittelle - traditionally called frìtole in Venice - have a crispy outer crust and a moist inner crumb, and the rich scent of sweet frying dough wafts over the canals of Venice for much of Carnevale. 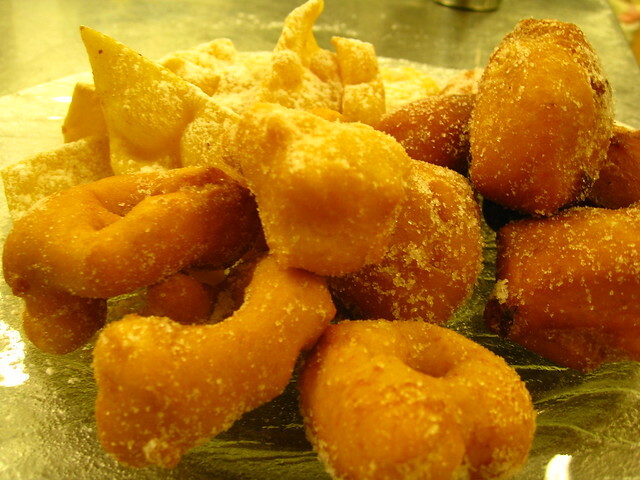 Sweet fried dough is found in other regions of Italy, as well, though is often served soaked in a honey or sugar syrup. Most commonly called castagnole, or small chestnuts, you can find them in most pastry shops or even served as dessert in restaurants. Other versions call them zeppole, which are sometimes filled or topped with custard and can be formed either in spheres or rings. 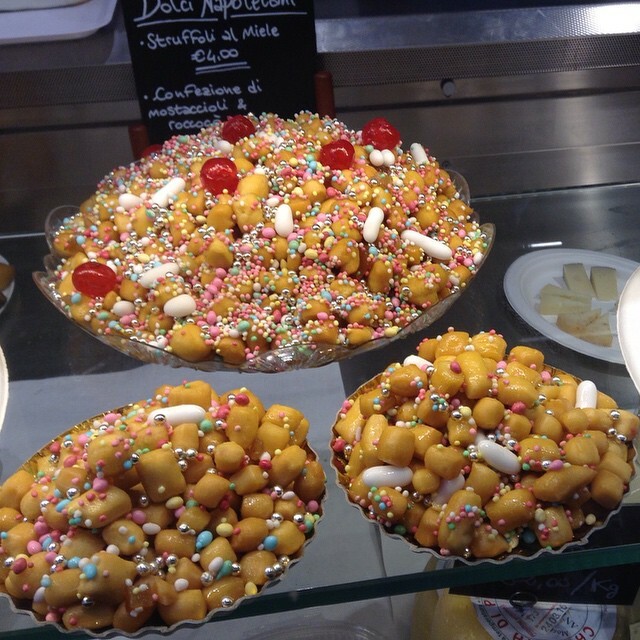 In Naples you will find struffoli, and in central Italy cicerchiate, which are mini-fritters, about the size of marbles, formed into a mound or ring with a sweet syrup and topped with colored sprinkles. Frittelle are said to be the creation of Bartolemeo Scappi, Pope Pius V's personal chef, and were first available only at specialized fritoleri fry shops. These were once so ubiquitous and popular in Venice that fritoleri formed a professional guild, though they began disappearing from Venetian street corner is the 19th century. A close cousin to the frittella, the brighella is a fried dough beignet filled with custard cream and rolled in sugar. Brighelle can be made with light choux pastry, resulting in an almost empty pastry shell once fried, or yeast dough, coming out more like a small jelly doughnut. Brighelle get their name from Brighella, one of the stock masked characters from the traditional Commedia dell'arte, characterized by his comic lust and greed. Indeed, one taste of a brighella and you will be hard pressed to control your carnal craving for more! Florence's iconic Carnevale treat is the Schiacciata alla Fiorentina, a low, single-layer yellow cake flavored with vanilla and orange peel, dusted with powdered sugar, and topped with a large central giglio, the symbol of Florence, in contrasting cocoa powder. 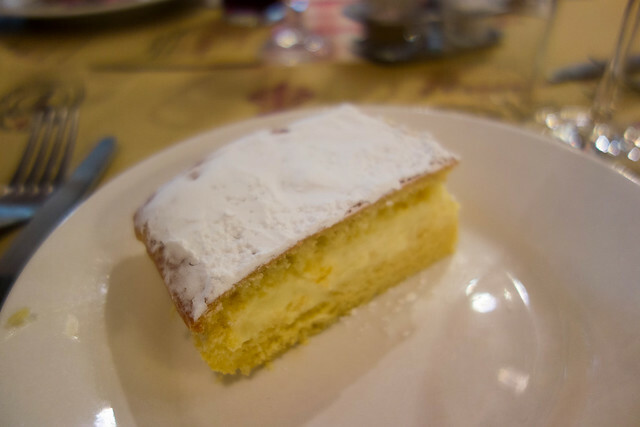 The name schiacciata means smashed or pressed, inspired by the flat appearance of its single layer, though you can also find versions with a layer of whipped cream of custard in the middle, making the entire cake a bit taller. Pastry shops around the city make Schiacciata alla Fiorentina, but the best version is said to be found at Pasticceria Giorgio.